Long time ago in 1519 colonists established small settlement on a Caribbean shore caressed by warm, tropical waters. 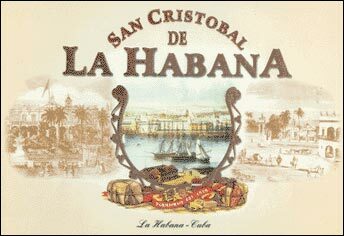 Ultimately, San Cristobal de la Habana became a capital of Cuba. This great city firstly got its name in honor of Christopher Columbus, but native Indians preferred a word from their own language: La Habana. To mark the 480th anniversary of the founding of Havana, Corporacio n Habanos s.a. launched a new masterpiece to match the taste of the most demanding smokers with a unique blend of tobaccos in an exceptional range of vitolas. Two of the vitolas have new Habanos sizes: La Fuerza, like a robusto but extra long, and El Morro, similar in gauge to a Double Corona and slightly longer than a Churchill. All these cigars have exquisite aroma and inimitable flavor. The Serie Castillos has been chosen for the launching. The vitolas will adopt the names of important castles of the city: El Morro, La Fuerza, La Punta, El Principe. The other series like "Parks of La Habana", "Contemporary Cuban Painters" and "Monuments of Cuba" could be included as a continuation in the future.